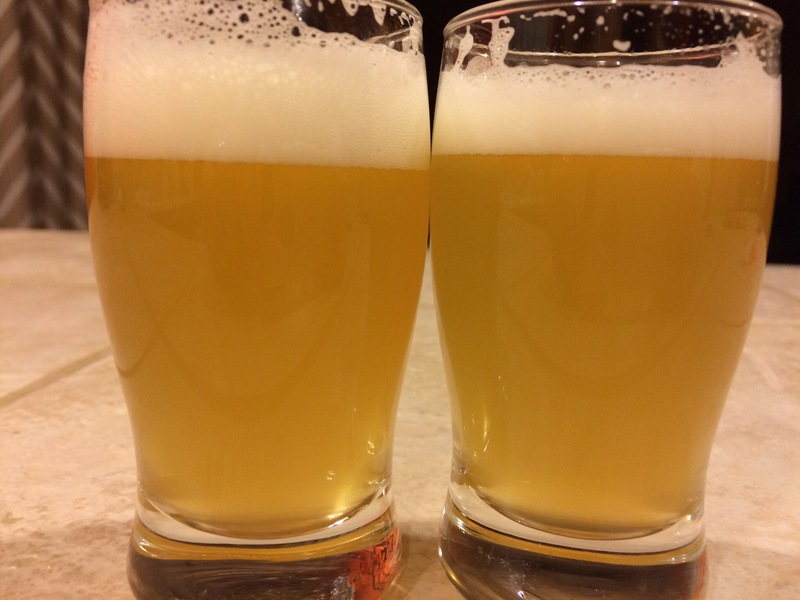 Determine if the same beer, fermented in the same conditions, is reliably different depending on whether it was fermented in a corny keg or a 6 gallon PET carboy. Brew a 10 gallon split batch of my Spotted Cow Clone (for the keezer handle purpose), ferment five gallons in a PET carboy, as is my normal process, and ferment the other five gallons in a corny keg with a blow-off tube attached to the gas in. I purchased my grains and water the night before from my LHBS, and King Soopers (best grocery store ever! ), and got most of my equipment ready for an early morning brew (I made a deal with my wonderful wife to be done brewing before she woke up, a tall task indeed). The morning of brewing I woke up extra early and heated my pre measured strike water to the prescribed temp, mashed in, slightly overshooting my desired mash temp. 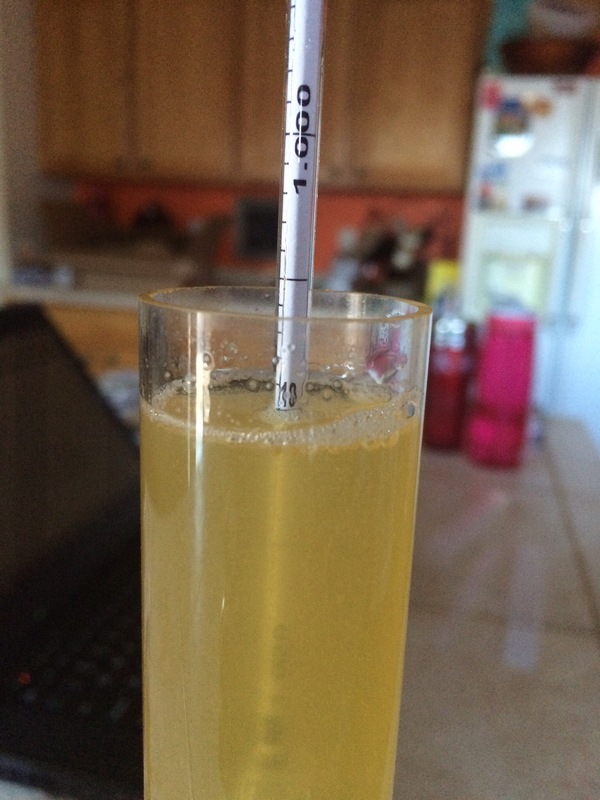 Pulled a sample 20 min in to check the ph, hitting the 5.3 Bru’n water told me it should be. After 60 min I had a very nice looking grain bed! Next I lautered the mash and began to boil. 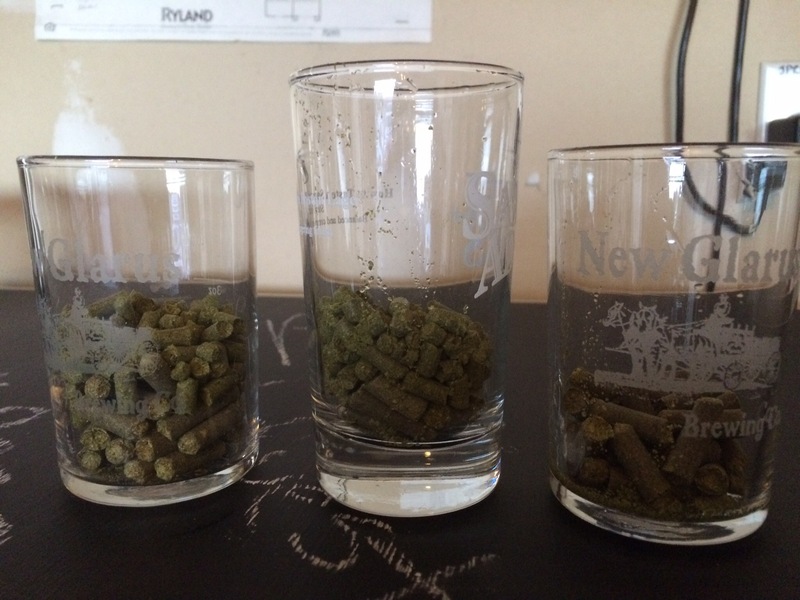 Hops were added at the prescribed times. I have been trying to push the limits of fermcap-s and two drops for ten gallons nearly caused a boil over. Luckily I was monitoring it and added three more knocking it down quickly. The wort was then split between the two fermentation vessels. 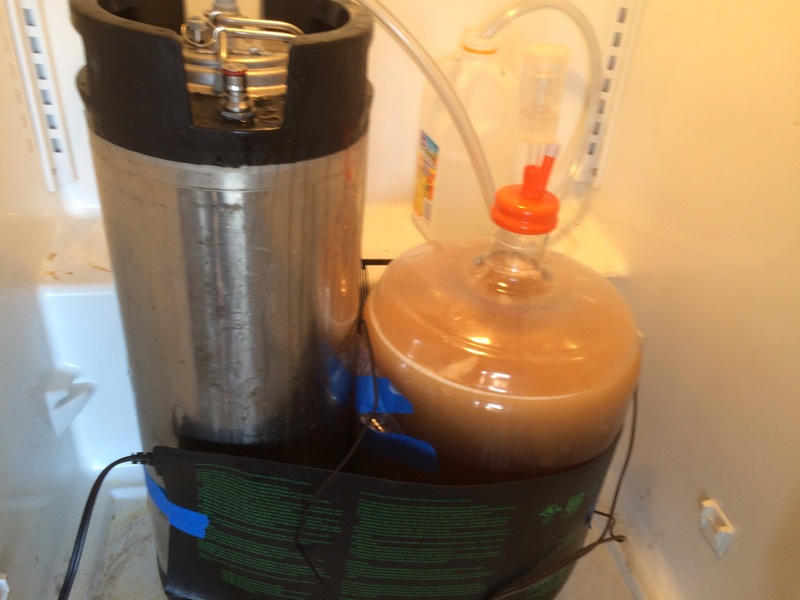 The Corny Keg held 4.75 gallons, about 2 inches short of the gas in dip tube. I then added 4.75 gallons of wort to the PET carboy. Both fermentors were placed in my new ferm chamber and chilled down to 60 (this took about four hours making me miss my freezer chamber). 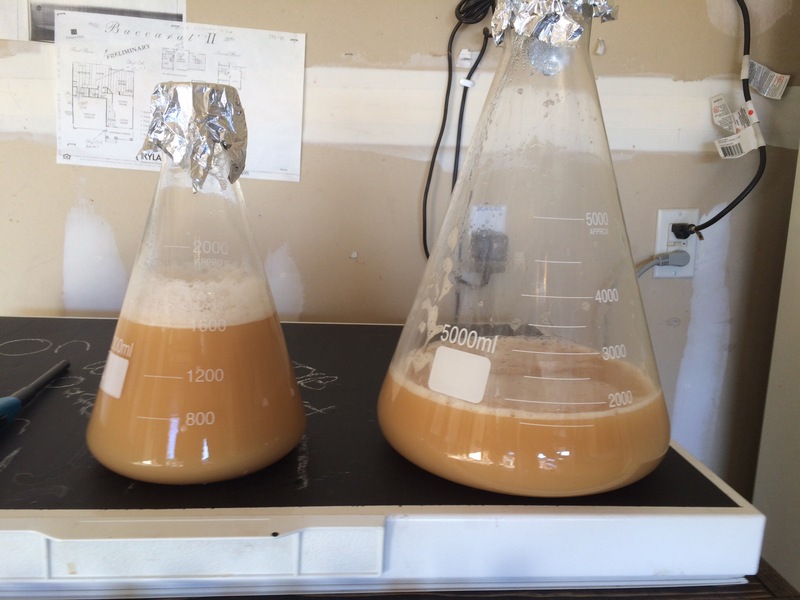 Once at 60, both worts were oxygenated for 60 seconds each, and the decanted yeast starters were pitched. Each fermentor was also dosed with ten drops of fermcap-s. 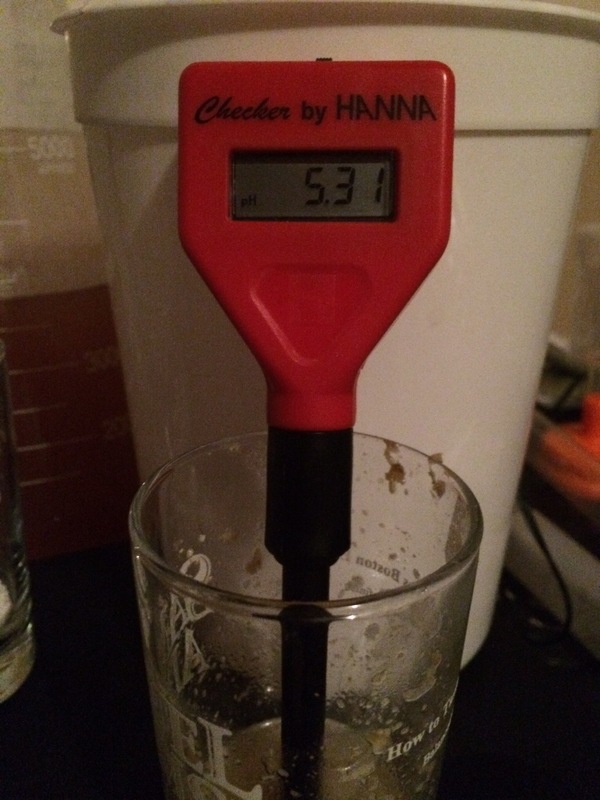 The recommended amount was noted as 1-2 drops per gallon; I generally add 3-5 drops during the boil for a ten gallon batch and none in fermentation. I didn’t want to take any chances given how close the wort was to the corny gas in tube so I went high. The PET carboy would also serve as a looking glass into what was going on in the corny, I really wanted to avoid a mess. The fermentation schedule was set. 24 hours into fermentation. 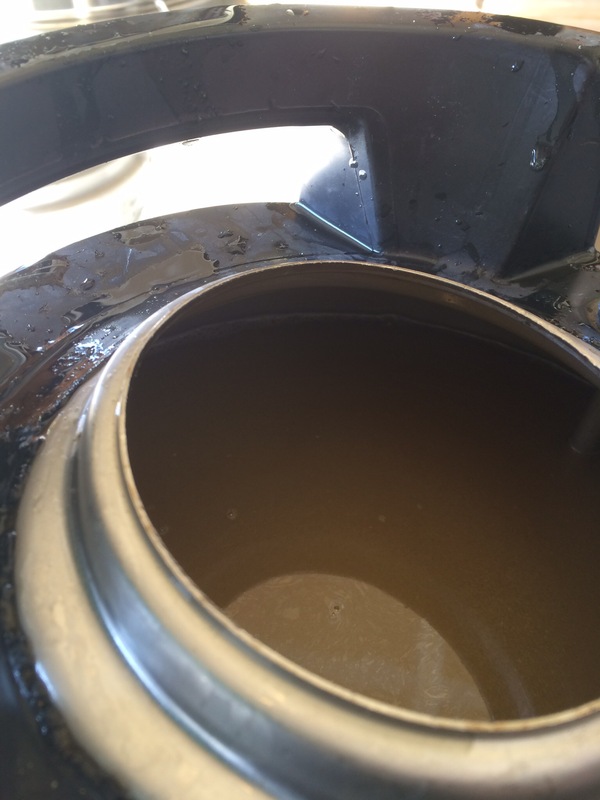 A steady stream of bubbles was coming from both vessels and not much krausen was happening. Fingers crossed! 36 hours into fermentation. Very vigorous activity, um uh-oh. 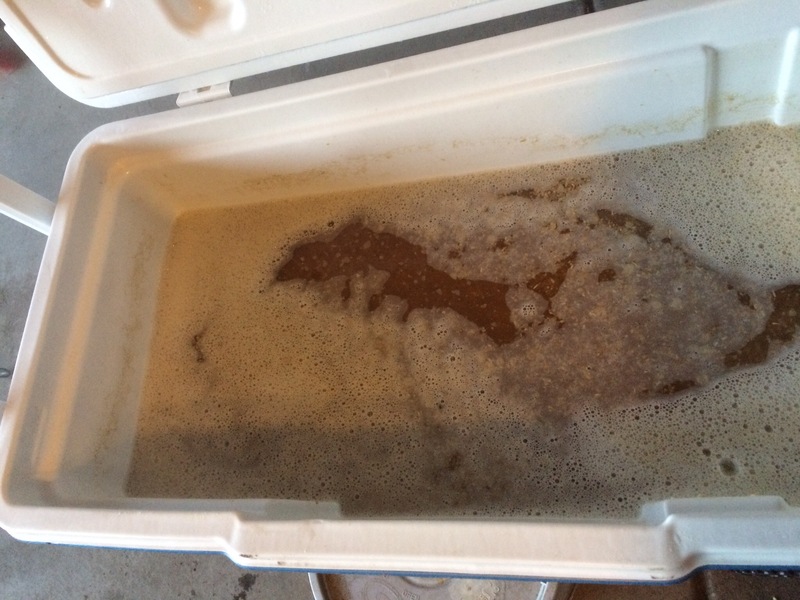 The PET carboy was showing a couple inches of krausen which had me a bit worried. The corny was also bubbling like mad and shooting off krausen into the blow off tube. Though the activity was fervent, there didn’t appear to be any clogging issues. 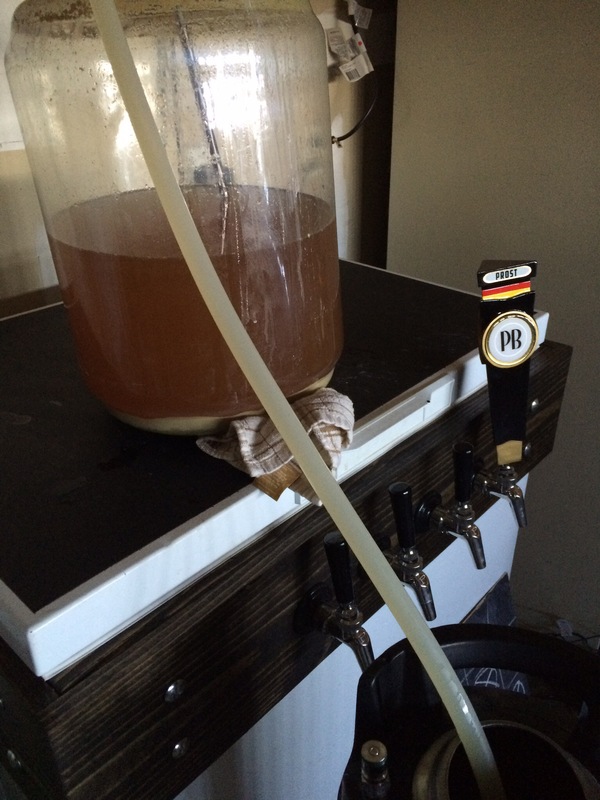 Throughout the entirety of the fermentation no issues were noted with the corny clogging. After 8 days the sample from the PET carboy was sitting at 1.010 for the third day in a row, and both beers were crashed. A few days later they were kegged. 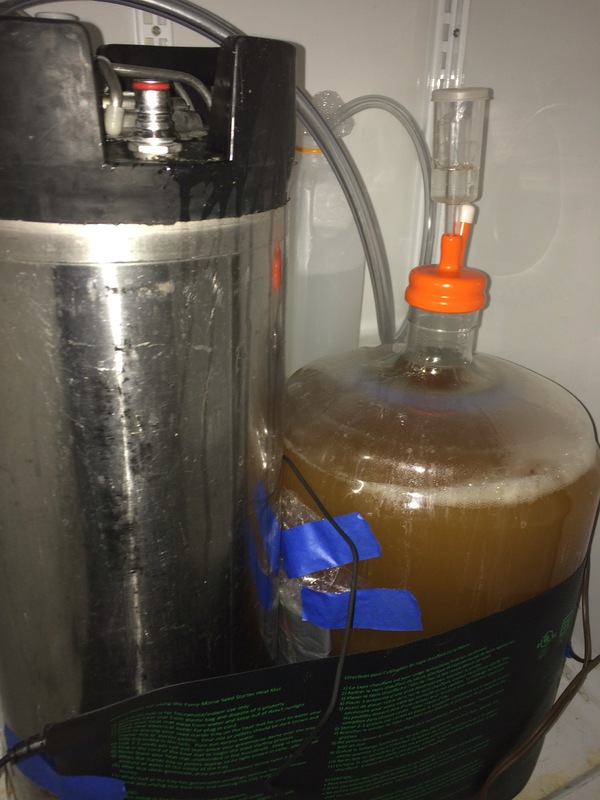 As we tried to transfer the beer from the corny fermentor to the serving keg a plug happened which prevented us from doing the no oxygen transfer. We opened the lid and transferred as you would a normal beer. The culprit was a one centimeter hop mass that got lodged in the dip tube, darnit! After kegging both beers were placed in my neat keezer and set to serve. 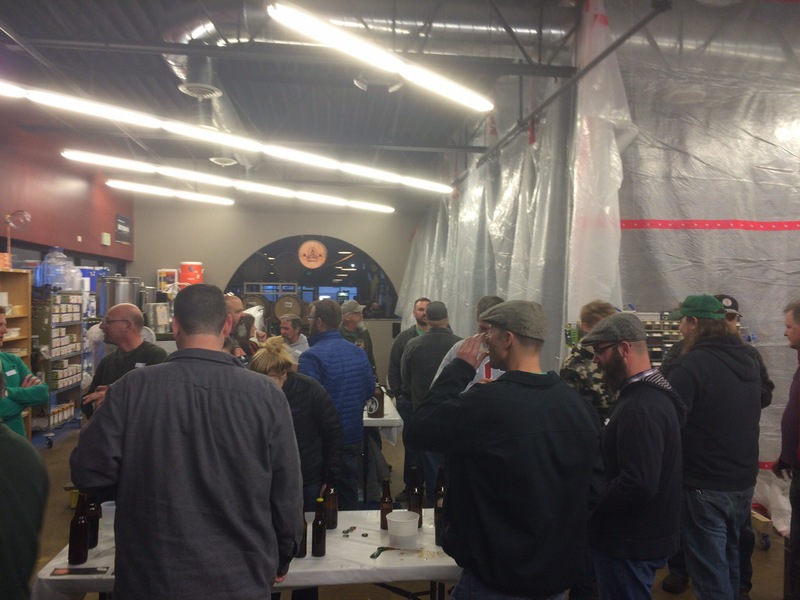 The beers were bottled from my keezer using a Blichmann Beer Gun and brought to homebrew night at my LHBS. 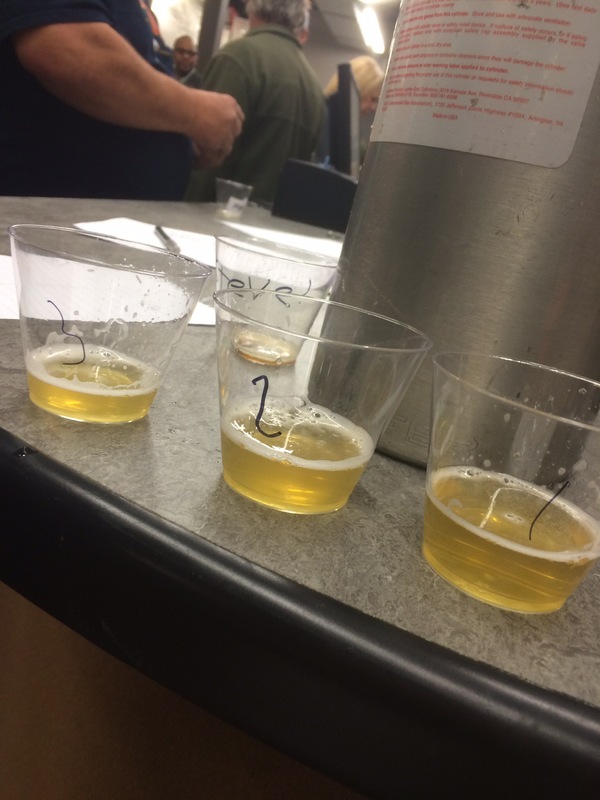 The beers were served blindly to 30 participants, #1 was the beer fermented in the corny keg, #2 & #3 were the beer fermented in the PET carboy. Using this triangle test table at a confidence level of 5%, given the 30 participants who participated in this blind tasting, a total of 15 people would have to accurately pick the correct beer in order to be statistically significant. In all a total of 13/30 people accurately selected the correct beer therefore 30 people were not able to reliably tell the difference between the two beers. Each participant was asked four questions: 1. Which beer was the odd one out? 2. What makes you think that beer is different? 3. What variable in the process do you think caused them to be different? 4. Which beer do you prefer? In the 13 correct responses the most common reason they picked 1 was that it was smoother or slightly less bitter, and had a more grainy flavor. 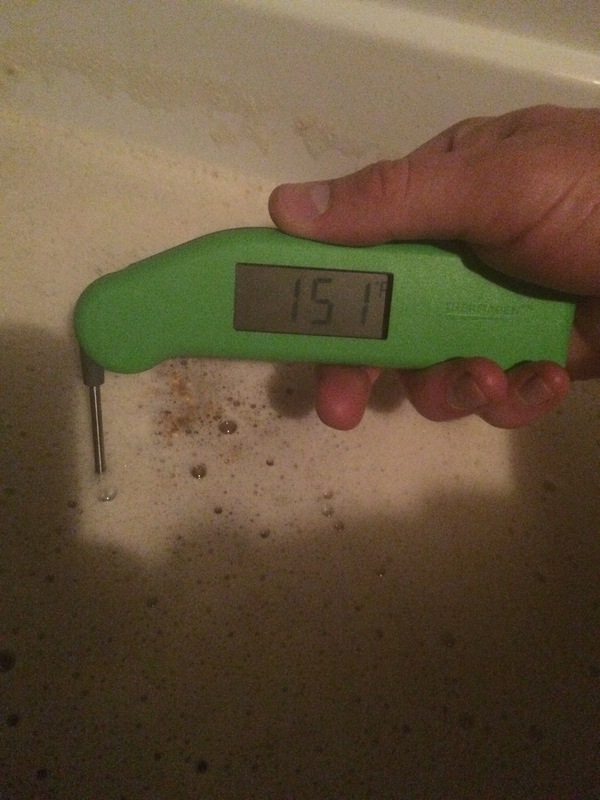 The correct responses most often picked yeast or lower fermentation temperature as the variable in the process. All of the participants that selected 1 chose that as their preferred beer. No one reliably noted a difference in aroma, or body, one person noted a difference in clarity. The results indicate that there is not a statistical difference between fermenting a beer in a corny keg versus a PET plastic carboy. Of course, given that it was homebrew night, and people of various levels of consumption participated in this experiment, the results could obviously be skewed somewhat. 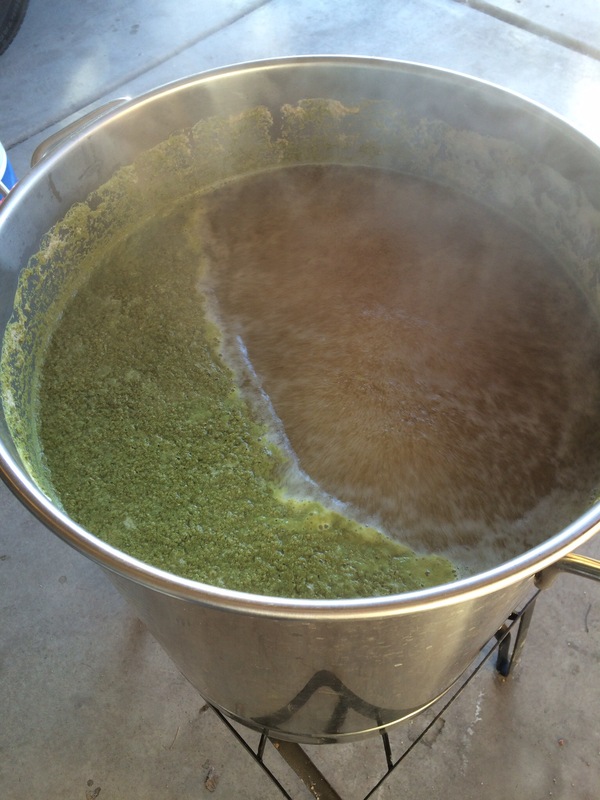 However, the fact is, as homebrewers, a lot of our consumption and sharing occurs in such conditions. I’ve taken this blind test several times, and most often, knowing the variable I can pick out the correct beer. To me the corny keg fermented beer mirrors some of the comments of the correct participants. The corny fermented beer has a very pleasant grainy smoothness. The difference is ever so subtle, but in the carboy beer I sometimes pick up a slight lingering bitterness at the end of the sip. That being said, I have failed to correctly pick out the different beer a handful of times, much to my wife’s delight (as she nearly always gets it correct). To bring it full circle, I understand why JZ and John Palmer initially dismissed fermenting in cornies based on the dimensions. 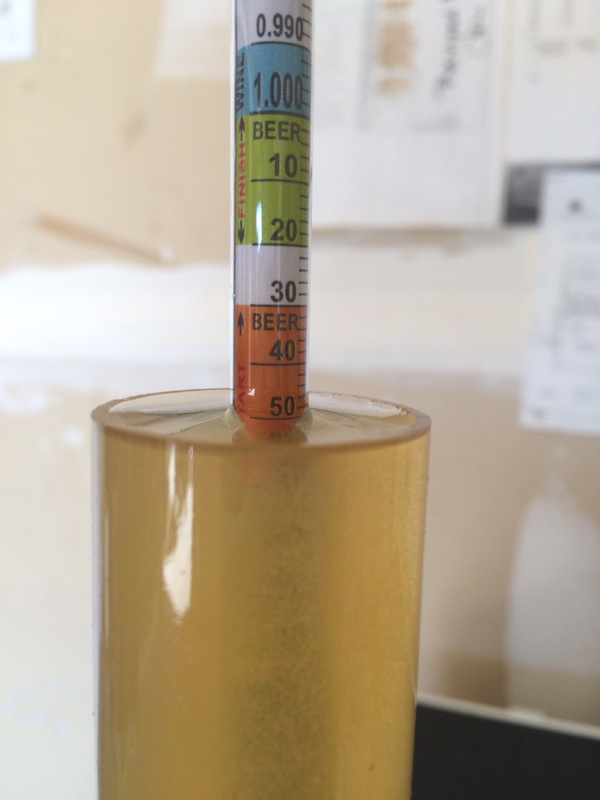 Maybe though, the truth is somewhere in the middle, it seems that we’ve seen commercial requirements don’t always fully translate to the homebrew scale for whatever reason that may be. I for one will be fermenting most of my non-sour beers in corny kegs going forward. 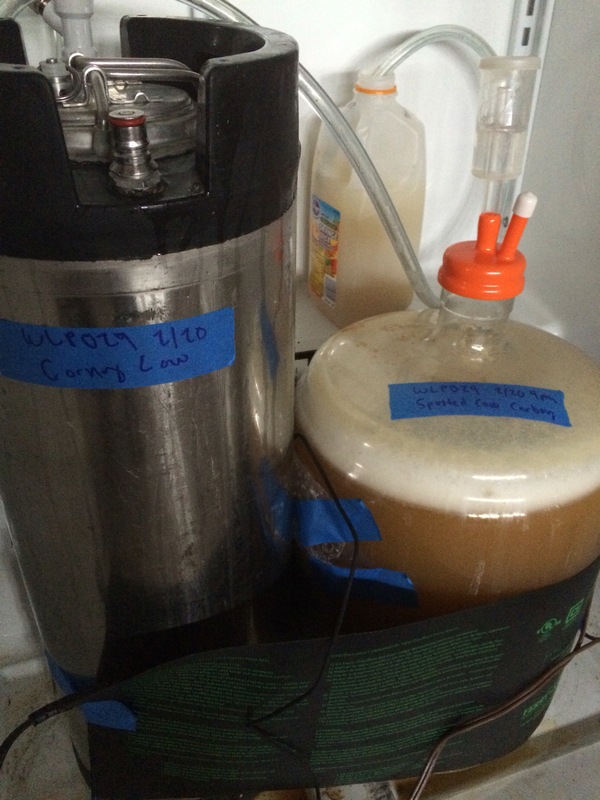 I found fermenting in a corny keg to be quite a bit easier than using carboy. The handles on the corny make transportation easy, as a bonus three cornies fit in my fermentation fridge instead of two carboys. The perfect seal of a corny is also a selling point for me. Once fermentation is complete I can simply remove the blowoff tube, cold crash, and have no risk of the negative pressure sucking in star-san. While I was not able to perform a closed transfer on this batch, I’m confident that adding a screen to my kettle will prevent significant hop mass in the future allowing this to be completed quite easily. Lastly, even though the results were not significant, to me the beer fermented in the corny is the one I find myself pouring more often than the carboy. As a final note, my great mom sent us some New Glarus beer recently and I was able to try my clone against the real thing. As you can tell from the picture the real thing is ever so slightly darker. In tasting the beers side by side the NG is a touch sweeter. 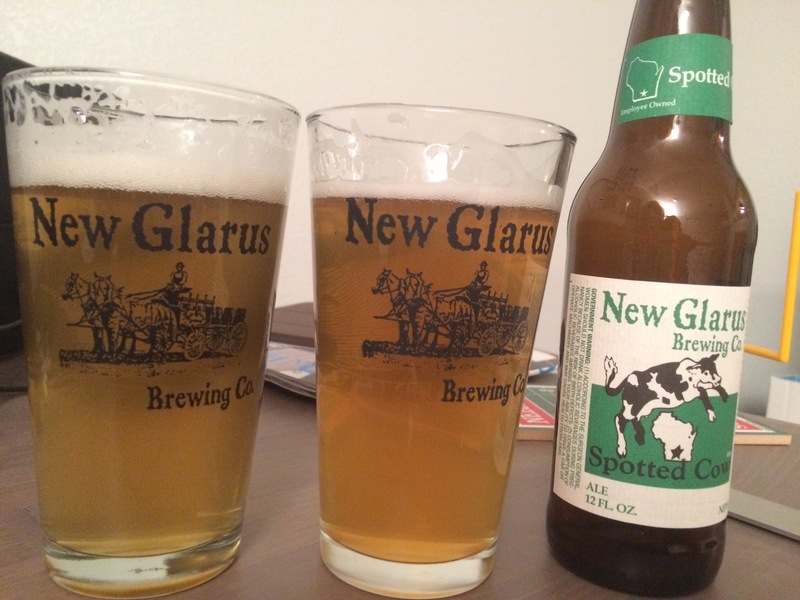 My guess is that Mr. Carey is using a hint of a low lov crystal in the real spotted cow. I actually hadn’t compared my recipe to the real thing in a while and these beers are SO damn close. I honestly prefer mine (selection bias probably); I find that it is crisper, grainier, and overall more refreshing. The real SC leaves a little cloying sweetness on the back of my throat that is great, but side by side, not preferable to me. If you want to make an exact clone of SC, try adding a touch of crystal 20 (interviews with Dan Carey confirm he LOVES this malt) and cut back on the munich until you get to an SRM around 0.5 higher than my recipe. Nice write up. I’ll need to try and get another keg so I can start fermenting this way. Didn’t Brulosophy already do this?